Did you get an email from Google regarding the official shutdown of Google+? In December, Google announced to shut down the social network due to low usage and security vulnerabilties. 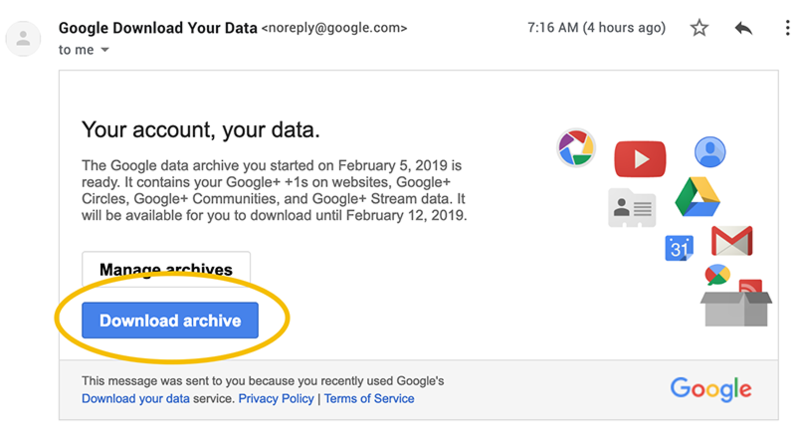 With the official date set at April 2, 2019, these final steps need to be done to ensure that you don’t lose any data you have previously uploaded into the site. Go to the Download your data page. You might have to sign in. 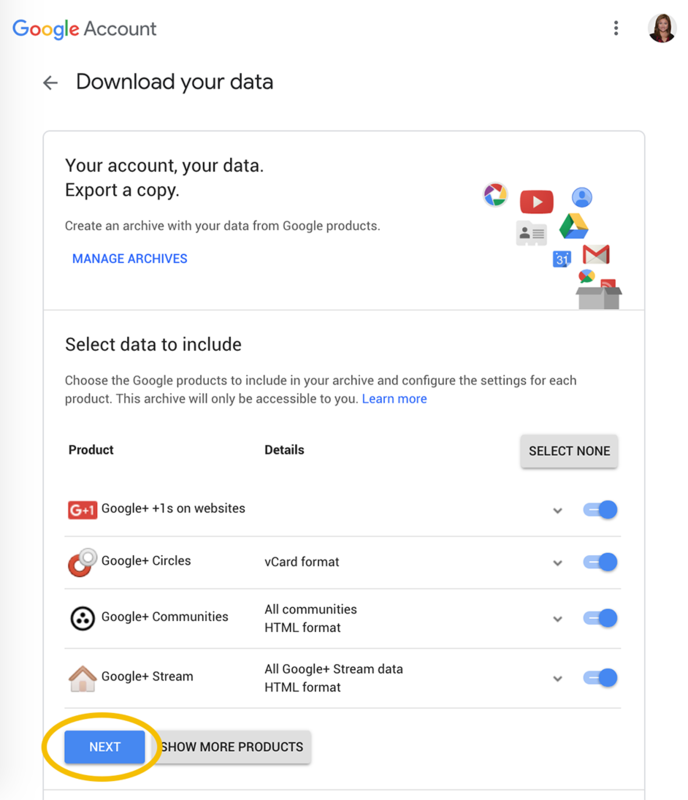 Your available Google+ data will be preselected, then click NEXT. Select the type of archive format the data will be downloaded in, then hit CREATE ARCHIVE. 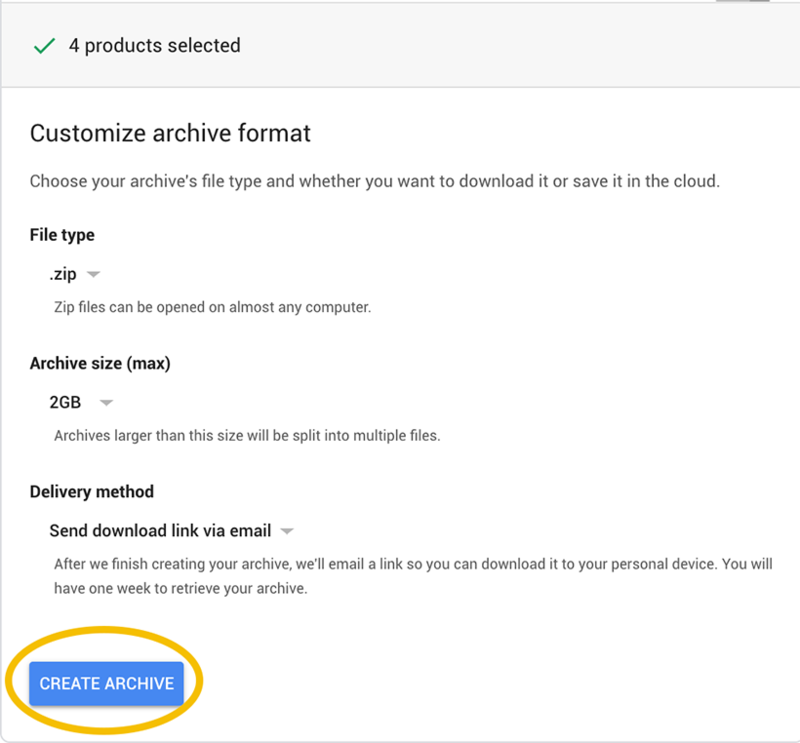 Since you have selected “Send Download Link via email”, you don’t have to wait until the archiving process completes, since you will get an email with the link. 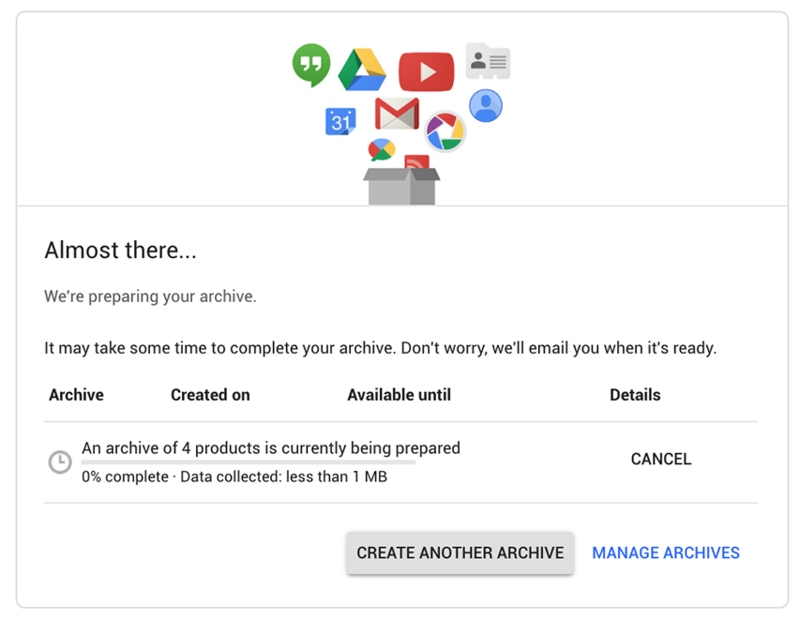 Once the file has finished archiving, a notification with a link will be sent to your email. Click the Download Link and uncompress the file once download has finished. For community owners, you may want to hold off downloading your data until March as most data will be available for download by then. The download steps are the same as above. However, for website developers, they should have received one or more emails listing recently used Google+ API methods and Google+ OAuth scope requests in their projects. Whether or not an email was received, we strongly encourage developers to search for and remove any dependencies on Google+ APIs from their applications. 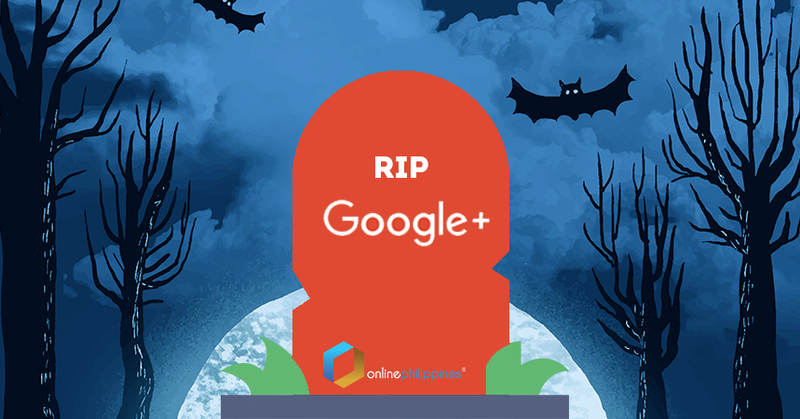 “The Google+ Sign-in feature has been fully deprecated and will also be shut down on March 7, 2019. Developers should migrate to the more comprehensive Google Sign-in authentication system.” So it seems like a new Sign In feature will be provided by Google in place for the Google+ button. All in all, Google+ had a good run, it seems that competing with existing social networks has made it run its course. However, things are looking up for enterprises and organizations in the future as Google has announced that Google+ will be working on catering its services and network to people belonging in big organizations via G Suite. This allows improvement for a new level of collaboration, employee engagement, and improved international coordination and communication with satellite offices. So it’s not really goodbye to Google+, it ‘s see you later at the office.